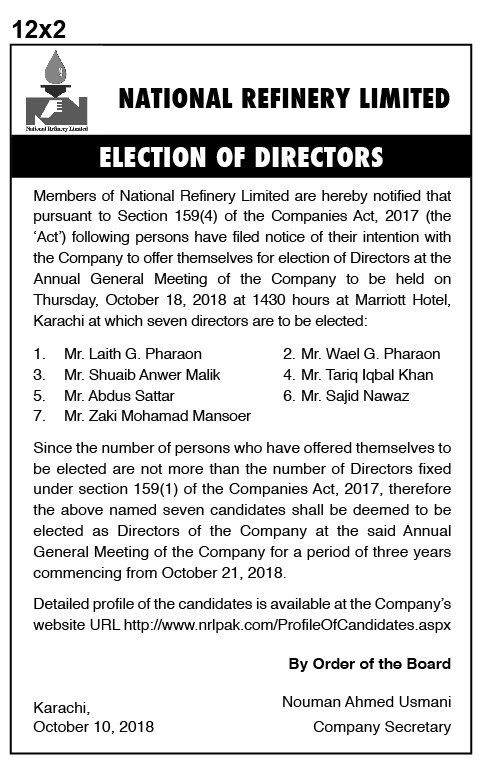 Notice of intention by the Candidates for contesting Election of Directors scheduled in the forthcoming Annual General Meeting to be held on October 18, 2018. Notice of 55th Annual General Meeting of NRL. Dividend and other announcements for the year ended June 30, 2018 by the Board of Directors. Notice for dispatched of dividend warrants in respect of NRL final cash dividend (D-70) for the year ended June 30, 2017. Notice of 54th Annual General Meeting of NRL. Dividend and other announcements for the year ended June 30, 2017 by the Board of Directors. Notice of 53rd Annual General Meeting of NRL. Dividend and other announcements for the year ended June 30, 2016 by the Board of Directors. Notice of Extra Ordinary General Meeting - 2015. Notice of 52nd Annual General Meeting of NRL. Dividend and other announcements for the year ended June 30, 2015 by the Board of Directors. Notice of 51st Annual General Meeting of NRL. Dividend and other announcements for the year ended June 30, 2014 by the Board of Directors. 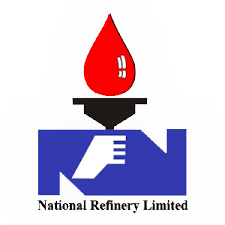 Notice for dispatched of dividend warrants in respect of NRL final cash dividend (D-67) for the year ended June 30, 2013.